Definition of f stop. Aperture vs. f/stop Use It To Your Advantage. The simple definition of f stop is it's the number that refers to how wide-open the camera lens is set. A smaller number like f/4 means the lens opening is relatively big and a big f/stop number like f/11 means the lens opening is fairly small. 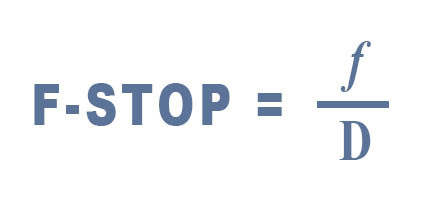 A deeper understanding of the definition of f stop can be found by looking at the other ways you can describe f/stop. F-stop is also referred to as "f-number", "f-ratio," "relative aperture," or "focal ratio." That's because it is a number, it does represent a ratio, and it is relative. It's actually a fraction too. This all seems complicated, but I am just poking a little fun at the use of our crazy language. It's a number that is the ratio of the lens opening compared to the focal length of the lens. As an example, if the diameter of the lens opening is 25mm and it's a 50mm lens, then it's 50/25 (50 divided by 25) or f/2. 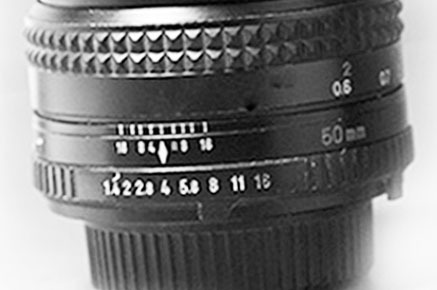 The f/stop number is the focal length of the lens divided by the diameter of the opening. The word stop in the term "f-stop" was the physical stopping points where lens diaphragms engaged at set increments, such as f-2 f-2.8 f4.0 f5.6 f-8. That was back in the old days when lens were mechanically and not electronically controlled. 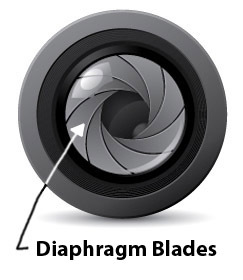 There are blades within the lens. Usually more blades give a smoother bokeh. They are more accurate and are expressed digitally such as f-4.7 or f-8.3. How the f-stop affects your photograph is is really what matters, not the actual number itself. Exposure, depth of field, and sometimes image quality are effected by what f stop you choose to use. Each doubling of the f-stop number equates to only 1/4 of the amount of light reaching your sensor. So changing your f-stop from f-4 to f-8 reduces the size of the lens opening to only allow 1/4 the amount of light in. 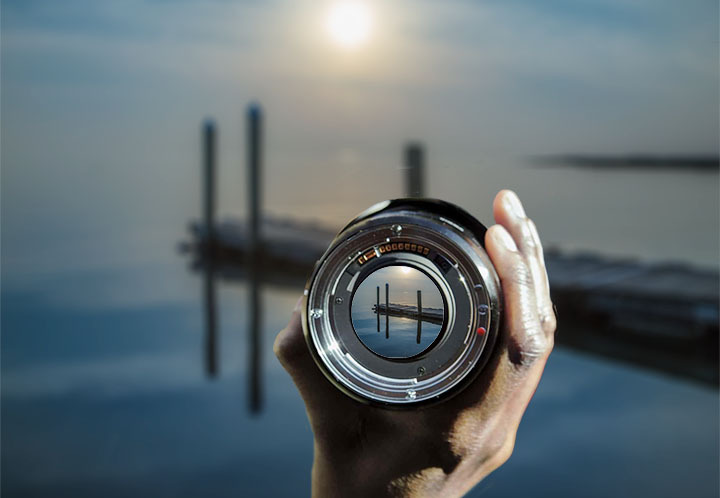 Depending on the automatic mode your camera is set on, it will change the shutter speed or ISO setting to compensate so your exposure will still be correct. If you are on manual, it is your job to make the settings appropriate for the correct exposure. Here is more on the topic of of proper photo exposure and the exposure triangle. Image quality is fairly constant through the range of what f-stops you use with modern lenses, but there are issues, usually at both extremes of the f stop range. At the biggest f-stop numbers (the wide-open apertures) image sharpness is sometimes compromised a bit. At the highest f-stop numbers ( the smallest lens openings), diffraction is usually more apparent. For the casual photographer, these lens shortcomings are barely noticeable. They do exist though and on an image-quality basis only, the best results are often obtained by closing down two or three f numbers from wide-open lens settings. This is the big kahuna. A good understanding of depth of field related to what your f-stop is separates the advanced and pro photographers from the amateur ones. Here is a table showing the sequence of common, single f-stop numbers. Note that each subsequent step upward results in HALF the amount of light passing through the lens for any given shutter speed. WHAT F/STOP IS THE HUMAN EYE? In really bright situations, when the pupil is constricted, its f-stop is about f/8.3. In really dark situations, when the pupil is fully dilated, it's about f/2. WHAT F-STOP SHOULD I USE IN LANDSCAPE PHOTOGRAPHY? Use a high f/stop number like f11 or f16 to get everything in your landscape shot in focus. That gives you a deep depth of field like we discussed earlier. Stopping your lens down to the absolute smallest aperture possible can result in a little diffraction and a small loss of sharpness. WHAT F/STOP SHOULD BE USED FOR PORTRAITS? This is a little more tricky. For portraits of individuals ist an easy answer. Use a small f-stop number (large aperture) like f/4 or f/5.6 to make the background go blurry on purpose. With family portraits, you may have to stop down a bit to f/8 to make sure you get enough depth of field to have your subjects, closest to farthest, all in focus. WHAT'S THE BEST F-STOP FOR MACRO PHOTOGRAPHY? The range of things is focus is severely limited when you're shooting up-close with macro photography. Most beginners and photo enthusiasts try to get as much in focus as possible when they shoot macro. You should use a large f-stop number (small lens opening) like f16 to get your subject all in focus. HOW ABOUT F-STOP VS DEPTH OF FIELD? The technical definition of f stop can simple be remembered as the size of the lens opening compared to the size of the lens. The important things to know about what is f stop are its effects on depth of field, exposure, and image quality. If you found this article on the definition of f stop interesting, please share it with a friend.